With the new list of reference published there are a lot of PAFF regions that are screaming to be activated. With an unexpected but small gap in my schedule I headed over to an area yesterday that was along my route and that I knew, so I did not have to look for an operating position (losing precious time). 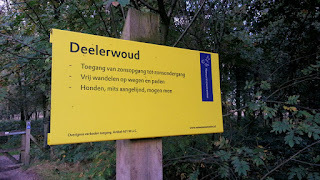 Deelerwoud is an area that is part of a large nature area in The Netherlands called De Veluwe. A number of PAFF references are located in this area, e.g. PAFF-042 is bordering this park. Seeing activity on the higher bands I set up an end fed wire for 15m. On that band I worked 26 stations in less than half an hour. Amongst them DX from VE3, UA9 and 4Z. When 15m started to slow down I quickly changed the end fed for a 20m version. On that band things were busier and I worked 62 stations in 40 minutes. DX came in from the east only with JA7, UA9, UN and 4Z. 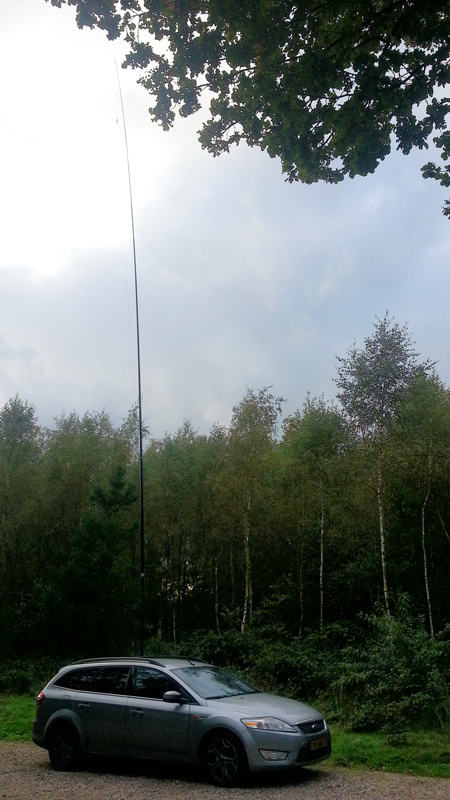 I did not have the time to go down to 40m, so there are less short distance contacts in the log. A lot of familiar calls are in the log again. Alexander RV9UCN and Michael 4Z5AV came by on both bands. Nobuyasu JA7AYE set the maximum QRB to 9200km. Thanks all for your calls.